I love making dumplings. I love having friends over to wrap delicious bundles of meat in dough, cook them, and eat together. It’s a fun activity, best done as a group, with a pleasant reward in the end. 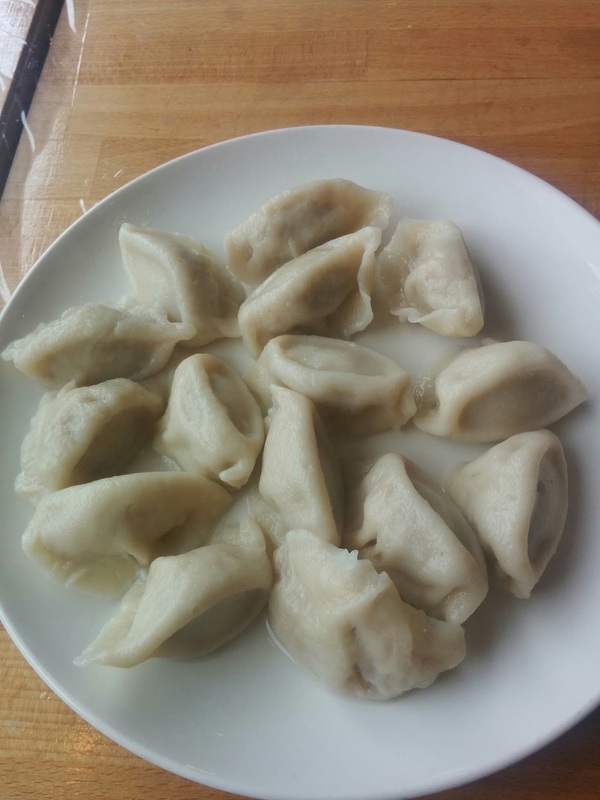 When I make dumplings with my western friends, we often talk about some of the cultural occasions where it is common to eat dumplings in China, or about Chinese mythologies surrounding events like Chinese New Year. However, when I made dumplings with Chinese friends, the conversation took a different turn, and a spirited discussion sprung up about how to translate the English word “dumpling” into Chinese. This brief “field guide” is intended to clarify and explore some of the different varieties of dumplings. When we say dumpling, we generally are referring to any number of different types of stuffed breads. Really, dumplings (or dumpling-like things) are ubiquitous in all parts of the world – ravioli, pierogi, empanadas, American-style dumplings, the list is endless. However, even the number of dumpling varieties in China (not to mention East Asia) is astonishing. The history of the dumpling on the Chinese continent is almost impossible to trace. While some legends attribute the origin of the dumpling to an Eastern Han dynasty (25 – 220 CE) physician, the earliest archaeological evidence of a dumpling comes from Turfan, a city along the Silk Road in modern day Xinjiang Province, dating to the 7-8th Centuries CE. The dumplings found there were in the shapes we now call jiaozi and huntun, and they were stuffed with meat and chives. While it is likely that there was some tradition on the Chinese continent of stuffing breads with meat prior to this late date, it’s also quite likely that the dumplings as we know them today are the result of centuries of cultural exchange between the Chinese continent and the Middle East, and, more recently, with the west. This long history is what has produced the numerous different styles of dumplings, along with the many regional variations. But… what do we mean when we say dumpling? That is perhaps the most important question, and the subject of the most heated conversation over dumplings that I’ve ever had during Chinese New Year. Below is my field guide to dumplings. I have limited it to the most common styles of dumplings found in Mainland China, and the list is biased by my own personal preference in dumplings (give me xiaolong bao or give me death), but I hope it will serve as a friendly introduction to all things dumpling in China. 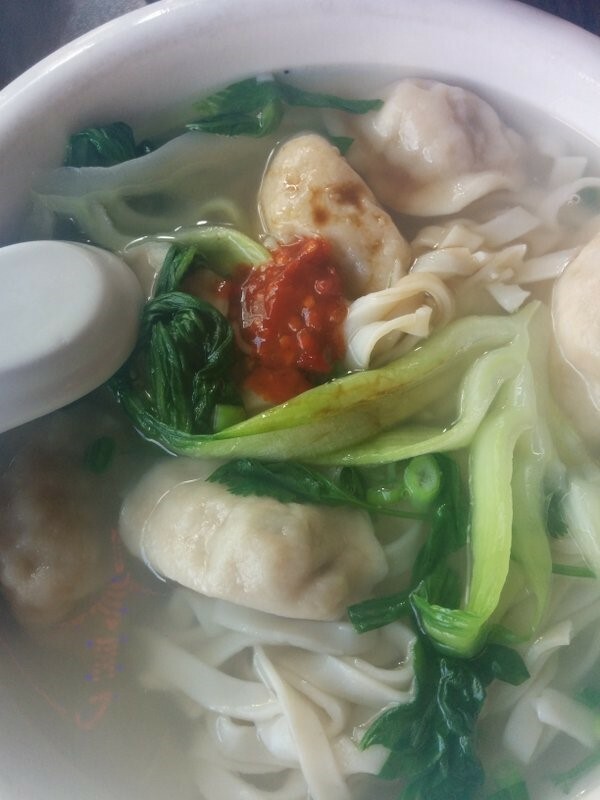 餃子 jiaozi: this is the most generic term used for dumpling, it can be any type of meat or vegetable wrapped up in a flour-based wrapper, and cooked in a variety of different ways. The edges are usually crimped, and they usually have flat sides, making them easier to cook in a pan. A jiaozi can be boiled (making it a shuijiao 水餃), steamed (zhengjiao蒸餃) or fried (guotie 鍋貼or jianjiao 煎餃). Guotie literally translates into “pot stickers,” and these types of dumplings are what are commonly associated with Japanese Gyōzaギョーザ. 餛飩 huntun – usually rendered in English as Wonton, these dumplings are similar to jiaozi, but are made with a different type of dough, usually one made with flour, egg, water, and salt. Huntun are usually filled with a pork, or pork and shrimp, filling. They are usually boiled, and often served in soup (as in the eponymous Wonton Soup 餛飩湯), but they can also be deep fried and served with a sweet and sour dipping sauce – this is often how they’re found in American-style Chinese cuisine. 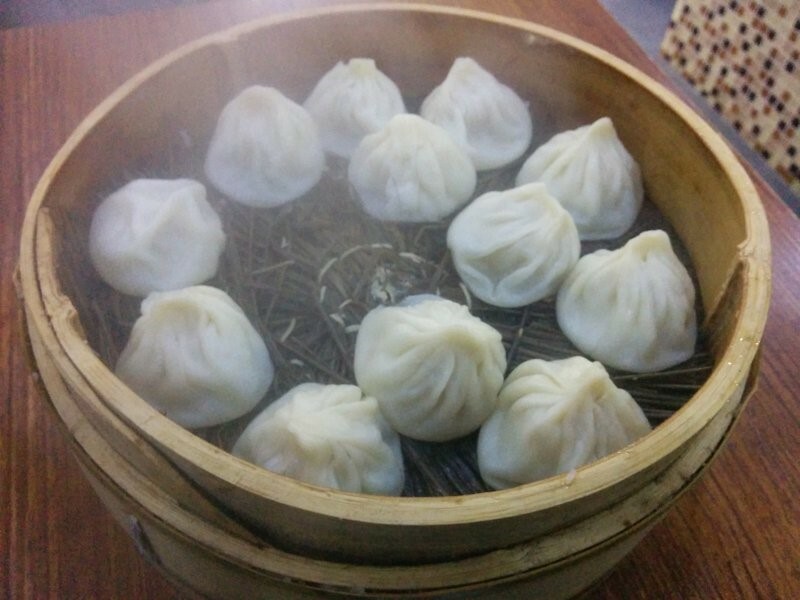 包子 baozi – this is another fairly generic term, translating simply as “steamed bun”. Baozi can be either simply steamed bread rolls (though if they have no meat, they’re often called mantou 饅頭), or they can be steamed bread rolls filled with meat or vegetables. Commonly eaten at breakfast, they’re usually available at street stalls throughout the day. The dough is leavened and made with glutinous flour, and the resulting bun is sweet and somehow simultaneously fluffy and dense. There are a huge variety of baozi, and this type of bread has spread throughout East and Southeast Asia, particularly in countries that have had large numbers of Chinese migrants. 叉燒包 cha shao bao – this is one of the best known versions of baozi, usually known in English by its Cantonese pronunciation “Char Siu Bao.” This is a large baozi (da bao 大包), which is stuffed with diced BBQ pork which has been mixed with a sweet and tangy sauce (usually made of oyster sauce, soy sauce, rice vinegar, and sugar). The meat is encased in a fluffy white leavened bread, and the dumpling is cooked in a bamboo steamer. These are commonly seen at Dim Sum restaurants. The Shanhainese have also created a heftier version of the xiao long bao, the sheng jian bao 生煎包. This beautiful creature is a xiao long bao with thicker skin, which is then shallow fried, and sprinkled with sesame seeds and spring onions. While the shengjian bao is traditionally a breakfast food, it is also a wonderful accompaniment to an evening of street beers. But what about Dim Sum, you ask? Well. Dim Sum (mandarin: dian xin 點心), literally translates to “what the heart desires,” which pretty much sums up most dumpling experiences. Dim Sum is just a bite-sized snack that’s served at brunch over tea, so it can refer to any of the above types of dumplings, steamed breads, as well as vegetable or meat dishes. 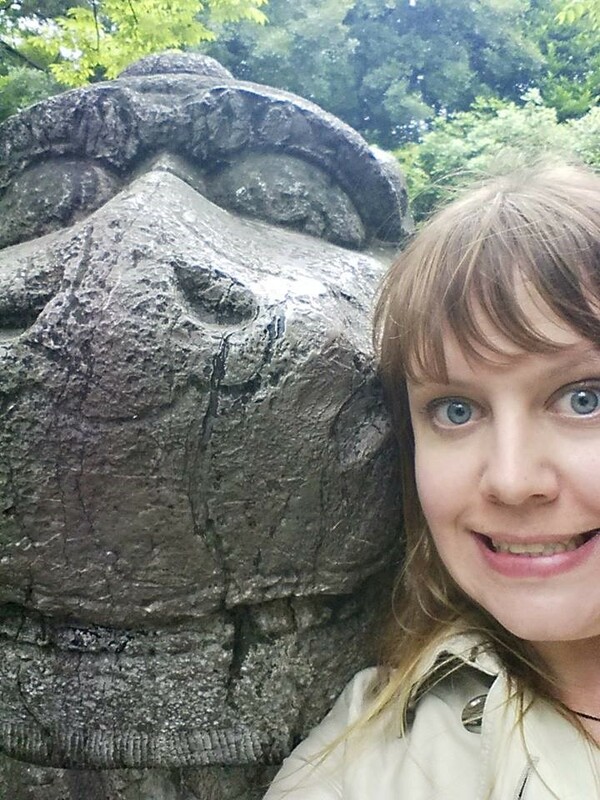 Rebecca Robinson is a PhD candidate in the Department of History and Classical Studies at McGill University. 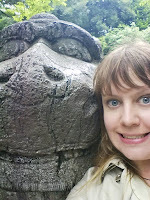 Her research examines religious reforms in the rise of empire in Han and Rome, ca. 220 BCE – 15 CE. In addition to the history of the ancient world, Rebecca is interested in theories of empire and governance. Several plates of dumplings were harmed in the writing of this post.